If you’re one of the many travellers who have yet to upgrade from paper to E-ink, then Kobo has you in its sights with its latest lightweight and inexpensive product. There’s little here to trouble the makers of the Kindle, but those new to e-reading will find a lot to like about this glow-in-the-dark slice of super-thin tech that proves ideal for life on the road. Physically speaking, the Kobo Glo HD is travel Nirvana. It weighs an almost pathetic 180g, and its 157x115x9.2mm shape fits in almost any pocket (jeans pockets, a suit jacket inside pocket, and even a top shirt pocket. It’s easy to hold in one hand, too, thanks to both its lightweight design and a perforated silicon backside that offers just a little friction. The ins and outs are simple, too; there’s a micro USB slot on the bottom for both transferring files from a laptop or computer, and for charging the Kobo Glo HD. Its battery stretches to at least a month, possibly two or three. You can read the Kobo Glo HD anywhere; unlike a tablet or smartphone, it’s easy to read the screen in bright sunlight, so is ideal if you’re sitting in cafes or by hotel swimming pools. It’s also great on the plane; like almost all e-readers now on the market, the Kobo Glo HD has a built in light, as the name suggests. The brightness of the ComfortLight is adjustable, as are everything from the font sizes (all 48 of them), the fonts (all 11 of them), leading and even the size of the margin. Reading is completely customisable and the 6-inch Carta e-ink HD touchscreen always looks super-sharp thanks to its pixel resolution of 1448×1072. That gives it a pixel density of 300 PPI, which is more than any Kindle. Another huge advantage the Kobo Glo HD has over any Kindle is that it can play almost any file or format of the book you throw at it. We’re talking MOBI, EPUB, PDF (into which it’s possible to smoothly zoom-in on), DOC and XLS files. It even displays JPEG, TIFF, PNG, GIF and BMP photos. Although the Kobo Glo HD does have WiFi, files are best transferred via a computer to its 4GB brains. Have you got an account with Pocket? Get one, and the Kobo Glo HD opens up a whole new world of syncing with mobile devices and browsers. See an article on Facebook that you want to read later? Save to Pocket. Idly come across a long-form travel article you think you might want to read on the plane? Save to Pocket. Almost anything you can read on a smartphone, tablet or any computer, you can save to Pocket – and then access all everything on the Kobo Glo HD. WiFi sync allowing, of course. It’s incredibly easy. The Kobo Glo HD all comes down to value. It’s easily as good as any Kindle, and perhaps even better than the point of view of frequent travellers. It’s also much, much cheaper than the high-end Kindle Voyage. Okay, so the 4.5 million title-strong Kobo Bookstore may not be quite as big a Amazon, but we’re not convinced that’s all that important any more. 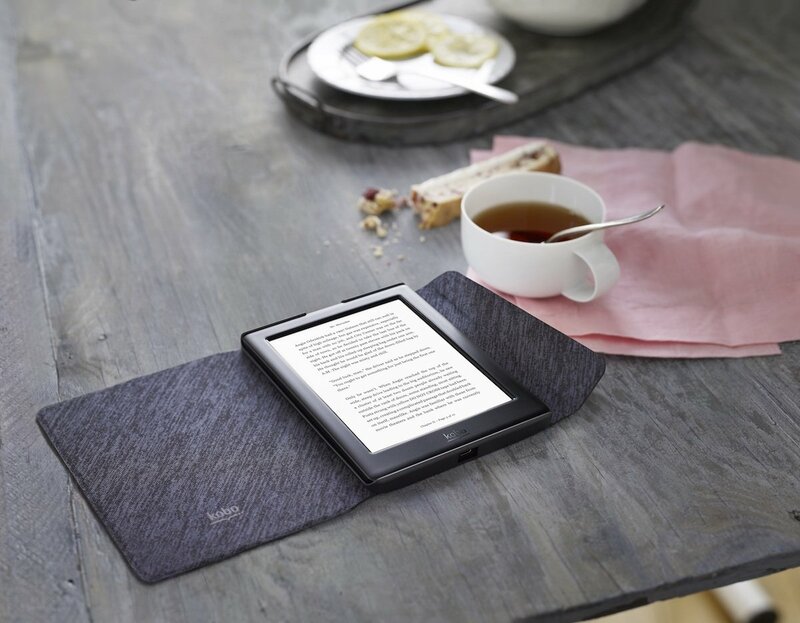 If you’re way past binge-downloading of books, you want to furnish an e-reader with your own choice of books already stored on a computer, or you simply want to read PDFs, word documents and web pages saved to Pocket, the Kobo Glo HD makes an excellent choice while on the road.